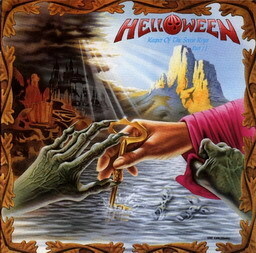 Keeper of the Seven Keys Part 2 is the third studio album by German power metal band Helloween, released in 1988. The album capitalized on the success of Keeper of the Seven Keys Part 1 and picks up where it left off. Success bloomed all over Europe, Asia and even the United States. The album went gold in Germany and reached #108 in the US. The album contains two singles, which are "Dr. Stein" and "I Want Out". "Dr. Stein" has a very long and moody solo, played with a blues tinge, very unlike other solos in the album as well as an organ solo. "I Want Out" remains one of the band's most popular songs, and has been covered by Gamma Ray, HammerFall, LORD and Sonata Arctica. 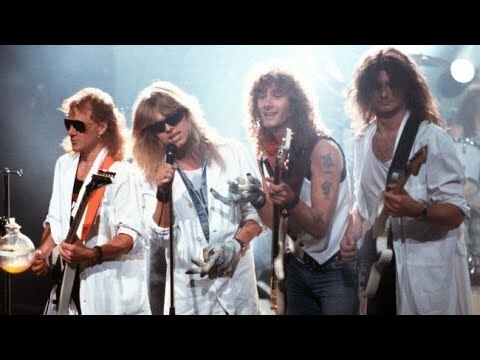 This song was written by Kai Hansen, and it's rumored to have to do with how he felt about Helloween, that maybe the band wasn't his anymore. The title track is the longest song of the album. Michael Weikath's "Eagle Fly Free", one of the well known songs of the album has also been covered, as Kai Hansen's "I Want Out", by bands like Vision Divine, and Bassinvaders.